Special good for month of February 2012. 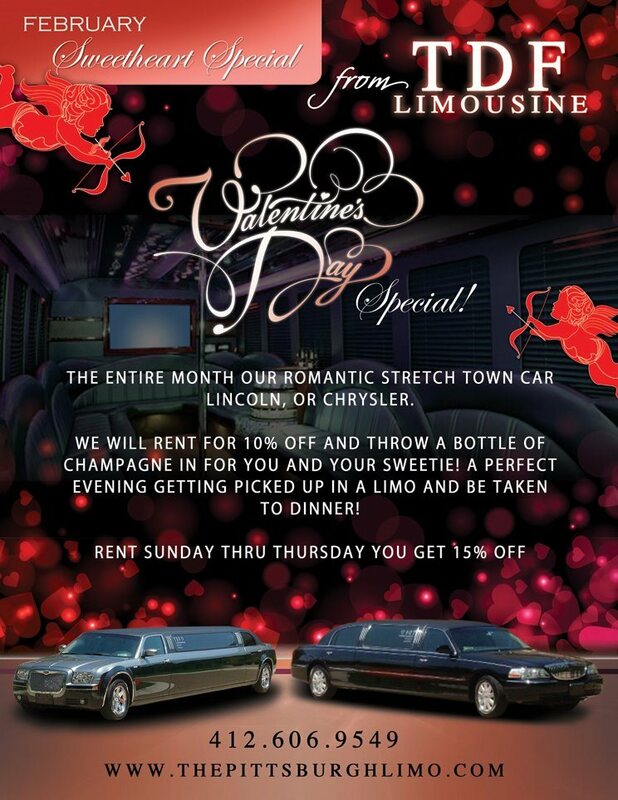 Get 10% off your February limo service and a free bottle of champagne for your sweetie and you! Rent Sunday thru Thursday … Get 15% off your limo rental!